When: Sun., May 5, 6-8 p.m. Enjoy a concert of Latin American chamber music presented by the ensemble, Cincopando, this Cinco de Mayo. 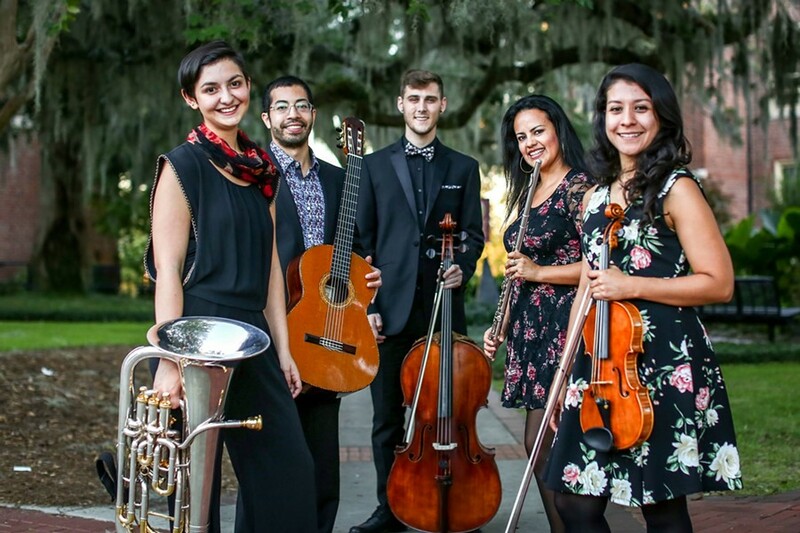 Cincopando is an American chamber music ensemble based out of Tallahassee, Florida featuring Vivianne Asturizaga on flute, Diana Sanchez on violin, Holden Bitner on cello, Lina Sofía Tabak on euphonium, and Jeremy Ávalos on guitar. Following the concert will be a presentation about the music performed, including a discussion about characteristics of Latin music, the group’s unique instrumentation, and how a chamber ensemble is formed. Hosted by the Savannah Area Flute Association.